We are on the road in Lancaster, PA for Zenkaikon! Stop by our table in the exhibits hall and say hi! 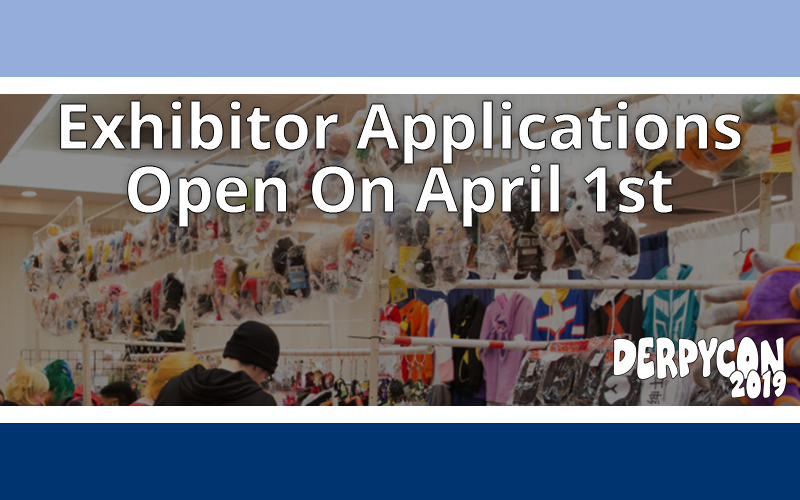 Exhibitor Applications Open April 1st! Badge Prices Go Up March 31st! 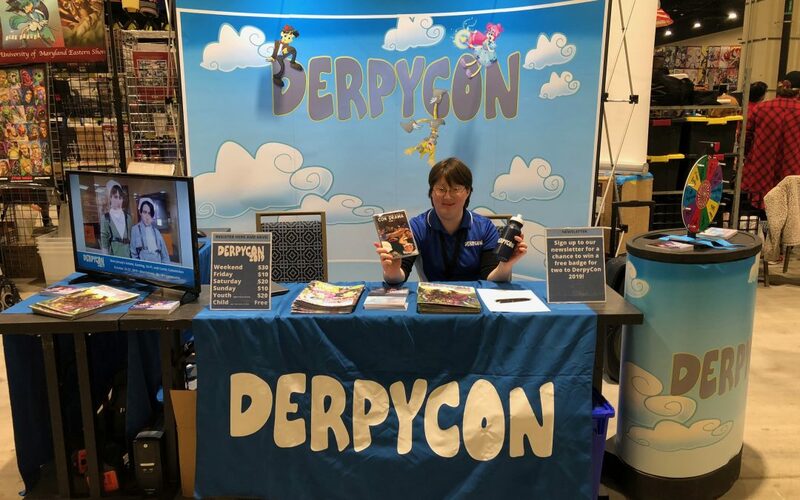 Still need your DerpyCon 2019 Weekend Badge? Don’t wait any longer!!!! 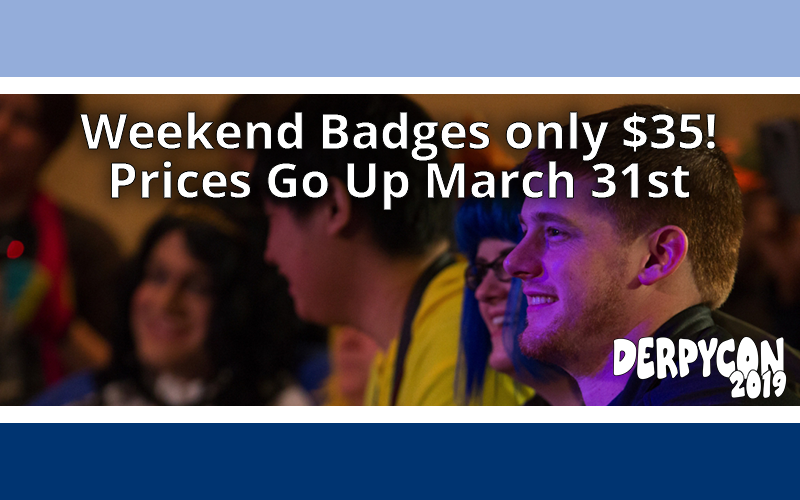 Get your badge for just $35 before prices go up March 31st! 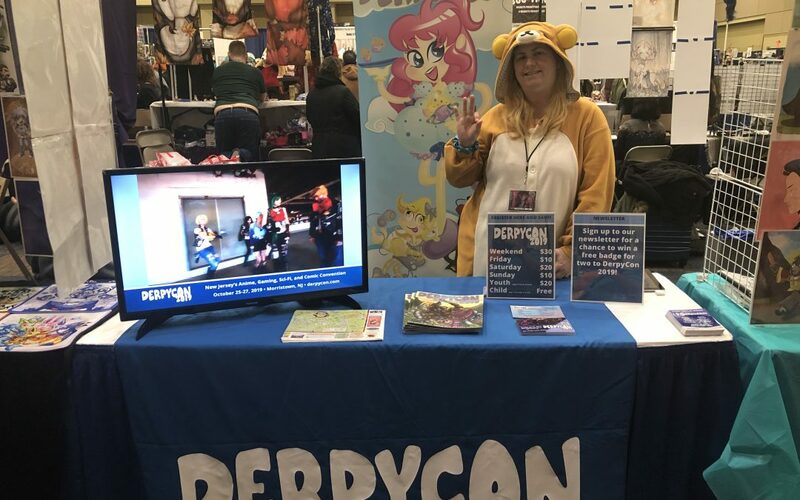 Register Today at https://www.derpycon.com/registration/. Our street team is on the road at Katsucon this weekend! 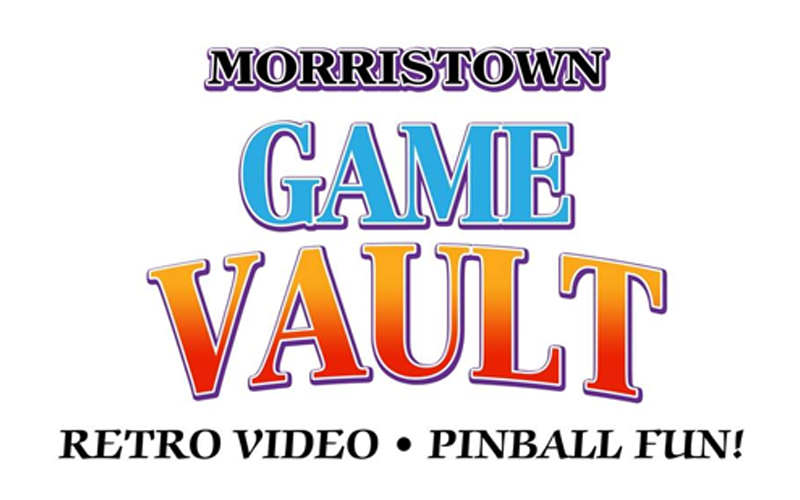 Stop by our booth at A6, say hi and spin the prize wheel!